Few people expected the slim, bespectacled 33-year-old who made his Test debut at Lord’s in 1975 to be the one to rescue England after a first Test thrashing in the Ashes – especially after he took a wrong turn in the pavilion on his way to the middle. Yet David Steele faced down the fearsome pace duo of Lillee and Thomson, saving the honour of English cricket by drawing the remaining three matches and finishing top of the England batting averages. It propelled him into a national hero and led to him becoming the BBC Sports Personality of the Year. A dogged and determined batsman cast from the same mould as his contemporary, Geoffrey Boycott, Steele also stood up to the destructive bowling of the West Indies, twice helped take Northamptonshire to the brink of the County Championship, was named a Wisden Cricketer of the Year and won the NatWest Trophy with Derbyshire. 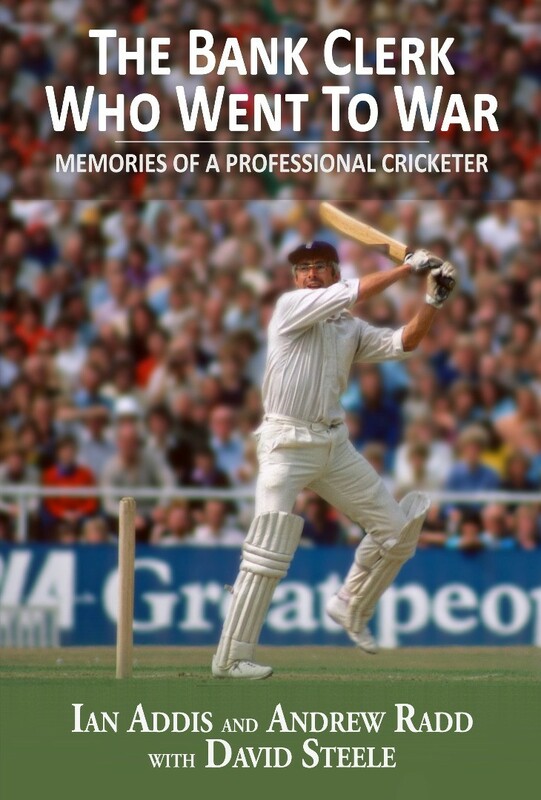 In this authorised biography produced with the help of hours of interviews with David Steele, Ian Addis and Andrew Radd dig into the memories of a cricket icon whose Churchillian efforts with the bat made him the unexpected saviour of English cricket. Ian Addis is a retired headteacher and university lecturer. Born and bred in Kettering, he has written several books about Northamptonshire’s social, literary and sporting heritage, including co-writing the biography of Brian Reynolds, once a teammate of David Steele. Trips to the County Ground began during the early 1950s when Dennis Brookes, Jock Livingston and George Tribe were in their pomp, and he has been a regular visitor ever since. Andrew Radd is a journalist, broadcaster and author specialising in cricket; Northamptonshire cricket in particular. Born in Northampton, he paid his first visit to Wantage Road in May 1972, when he was refused an autograph by David Steele. He eventually graduated to the press box where he reported the club for a variety of outlets, including thirty editions of Wisden. He has written several books, including co-authoring the official history of Northamptonshire CCC with Matthew Engel, and remains heavily involved in the game as Northamptonshire’s honorary archivist. David Steele is a former international cricketer who played eight Test matches for England, making his debut in a memorable Ashes series in 1975 when he captured the hearts of the nation. He won the BBC Sports Personality of the Year award and was named a Wisden Cricketer of the Year. He spent twenty-two years in county cricket with Northamptonshire and Derbyshire, scoring more than 22,000 first-class runs and taking 623 wickets.